Cosmetic Surgeon and Medical Director of MilfordMD Cosmetic Dermatology Surgery & Laser Center, in Milford, Penn., Dr. Richard Buckley was awarded the 2016 Galderma Presidential Associate Award for leading trends in aesthetic injectables. There’s good reason that cosmetic filler injections targeting patients’ biggest aging concerns—from lines and wrinkles to volume loss–are a favorite nonsurgical cosmetic option among women and men. Today’s improved formulations of hyaluronic acid and other fillers have resulted in longer lasting, more targeted products that can, in the span of a lunchtime office visit, rejuvenate aging patients’ faces. 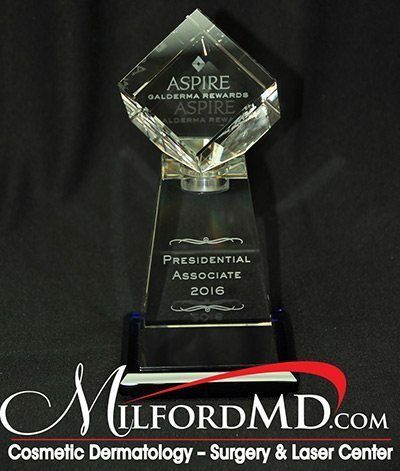 Cosmetic Surgeon and Medical Director, Dr. Richard Buckley of MilfordMD Cosmetic Dermatology Surgery & Laser Center, in Milford, Penn., was awarded the 2016 Galderma Presidential Associate Award for leading trends in aesthetic injectables. Dr. Buckley says he uses the spectrum of fillers daily in practice. Some of the big-name filler families, such as Restylane and Juvederm, offer a spectrum of options, each tailored to a specific cosmetic result. For example, Restylane fillers include Restylane Silk, Restylane Lyft and Restylane L, which stands for lidocaine, plus two brand new entries: Restylane Refyne and Restylane Defyne. Juvederm’s fillers include Juvederm Ultra XC, Juvederm Ultra plus XC, and Juvederm Voluma XC. The XC stands for lidocaine for comfort. “The more robust fillers on the spectrum are injected more deeply to help build volume, such as around the cheekbones, or fill the deep lines and creases of the face. Some of these fillers are lighter weight and work nicely to diminish surface lines, crow’s feet, acne scars and more. Galderma just received FDA-approval for two very fine hyaluronic acid fillers, Restylane Refyne and Restylane Defyne,” Dr. Buckley says. 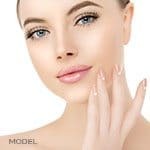 Still other fillers in cosmetic surgeons’ toolbox include Perlane that replaces lost volume and smooths moderate to severe facial wrinkles and folds, including the nasolabial folds, which are the lines from your nose to the corners of your mouth. Perlane has new FDA indication and has been renamed to Restylane Lyft. There’s also Sculptra, which is technically not a filler, though it’s classified as a semi-permanent filler. Scuptra’s poly-l-lactic acid particles have been shown to stimulate the body to make its own natural collagen. 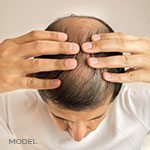 It’s long lasting, on the order of years, but results take longer to notice, according to Dr. Buckley. “And yet there are many more fillers in the pipeline, attempting to garner FDA approval,” Dr. Buckley says. More 65-and-older Americans Turning to Cosmetic-Surgery!